A wedding in Jamaica will be at the booked Prospect Plantation Villas. 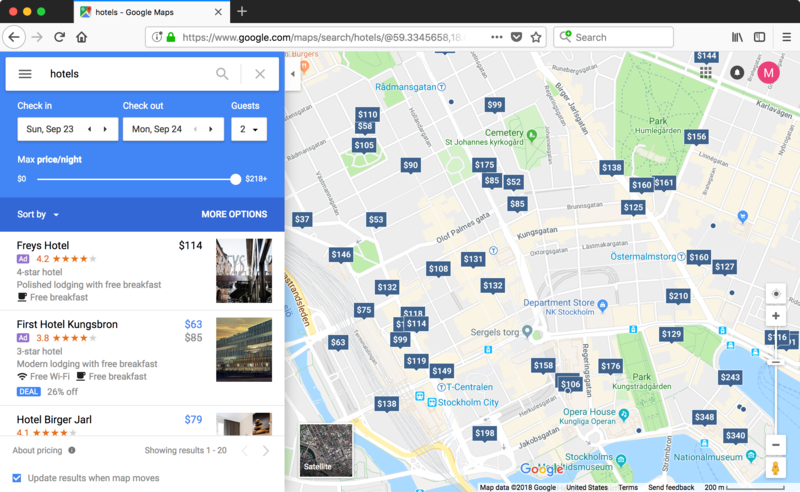 Is there a method or web services that map nearby accommodations? The goal is to be as close as possible (walking distance) to the wedding and understand the cost of the decisions plotted on a map: it would be terrific if the prices were plotted on the map for the target date. Unfortunately Google maps does not plot the price. hotels.com will let you search for hotels in that region and sort by proximity to a point of interest. Not the answer you're looking for? Browse other questions tagged hotels maps or ask your own question.